Serbia’s Exit festival released its first interactive video in 360 degrees, shot by East City Films, a London-based video production company. Filmed in 4K resolution, this video provides a unique insight into possibly one of the most unique festivals in the world. Its story unfolds throughout the 6-minute video, reflecting its roots in Serbian revolution of 2000 and its rise to one of the leading European festivals. Located at the spectacular 18th century Petrovaradin Fortress in Serbia, the video provides stunning shots from its campsite sandy beach on the Danube river to the festival’s main stages, including sunrise shots of its Dance Arena. East City Films also recently produced the first ever 360 virtual reality, live broadcast from the MTV EMA in Milan. 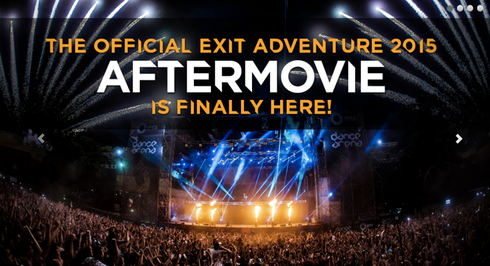 Exit festival, combined with its seaside sister Sea Dance festival, makes for a festival package dubbed the Exit Adventure, created to be possibly the biggest and longest-lasting festival holiday in the world, spanning over 10 days. The package combines two award-winning festivals at two locations in two neighbouring countries, which proved to be a successful formula that attracted 300,000 people from 60+ countries, all visiting Petrovaradin Fortress in Serbia and Jaz Beach in Montenegro. While the Petrovaradin Fortress is the biggest defensive fortification in Europe, Jaz is officially the best European beach, according to tourist guide Lonely Planet. Both festivals have a multitude of stages and diversity of genres, from the most demanded rock and pop acts, to EDM, techno, bass, hip-hop and even metal, punk and hard-core. This year, Exit was headlined by the likes of Emeli Sande, Manu Chao, Faithless, Motorhead, John Newman, Hardwell, Martin Garrix and many others, while Sea Dance featured acts like The Prodigy, Roisin Murphy, Rudimental, Sigma, Gramatik, Odesza, Flight Facilities and many more. Both festivals are once again nominated for the Best European Festival titles.